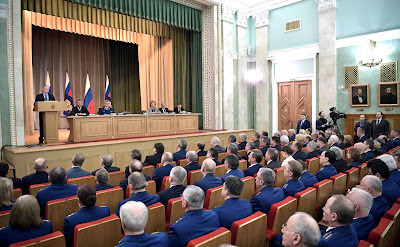 Meeting of the Prosecutor General Office’s Board. 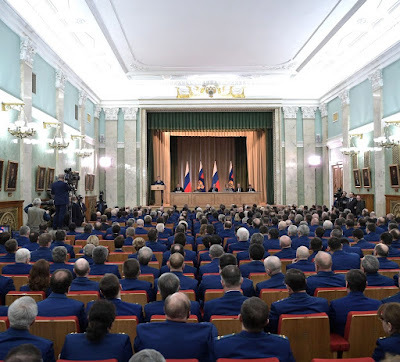 Putin.BLOG Law enforcement Meeting of the Prosecutor General Office’s Board. Russian President attended a meeting of the Prosecutor General Office’s Board. As usual at these board meetings, we will discuss the prosecution agencies’ performance in 2016 and set the priorities for the near future. Last year, the prosecution agencies uncovered over 5 million crimes. Our work must be as effective as possible in all spheres, but especially when it concerns the protection of citizens’ constitutional rights. In this context, I would like to commend your operation during the election campaign and elections to the seventh Russian State Duma and local governments. The prosecution agencies promptly reacted to violations of the election legislation and worked effectively within the scope of their authority during the election campaign. During the parliamentary election campaign, prosecutors registered 590 violations of citizens’ election rights. Your continuous, system-wide efforts on the socioeconomic front are of equal importance. As you know, 75 percent of labor rights violations uncovered by prosecutors are related to salaries. Last year, prosecution offices helped recover 28.5 billion rubles in unpaid wages. Every manager or owner who attempts to shift the burden onto the workers must understand that he or she will face inexorable consequences. You see how people respond to all cases of unfair treatment, indifference and callous behavior by bureaucrats. It is the prosecutor office’s task to gain a detailed insight into each and every incident of this kind. It is important to identify system-wide legal and enforcement issues in order to prevent any conditions and risks that could result in a violation of rights. 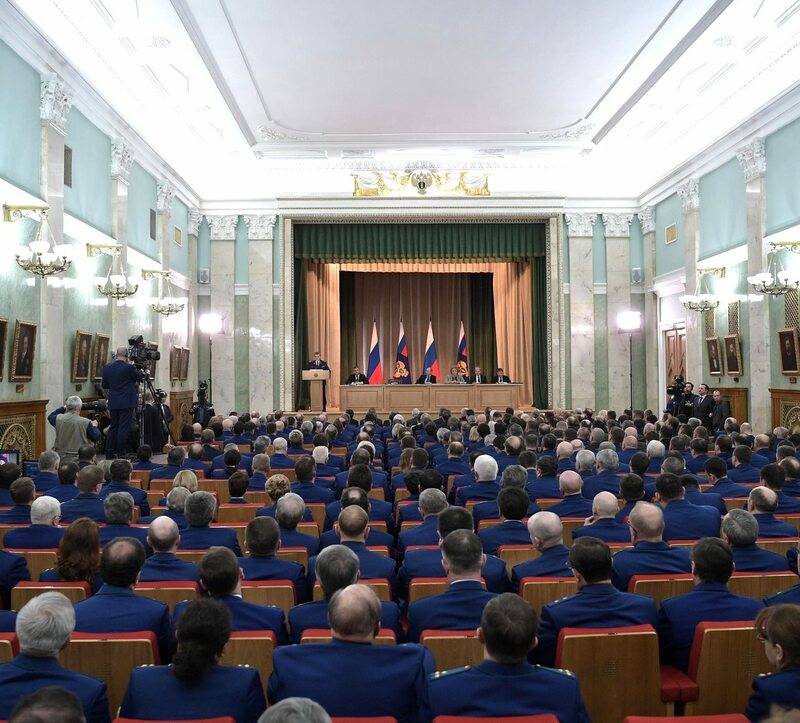 We must continue to tighten control, enhance financial discipline and prevent the misuse, squandering or embezzlement of budget funds in the sphere of government procurement, state defense orders, state property management and infrastructure projects. 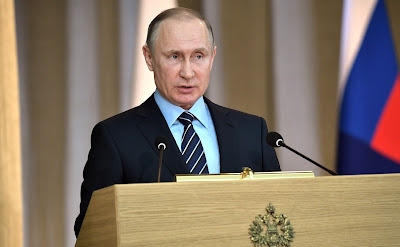 In order to be able to benefit the people and the state, you must be: completely and totally honest effective in fighting corruption and infringements in the broadest possible sense. Prosecutor General Yury Chaika at a meeting of the Prosecutor General Office’s Board. 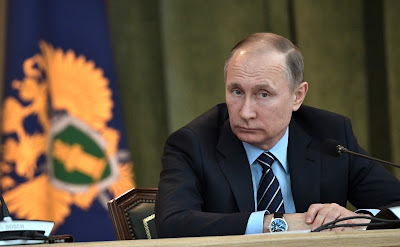 Vladimir Putin at a meeting of the Prosecutor General Board. 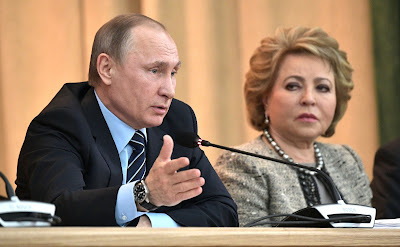 Vladimir Putin and Valentina Matviyenko. 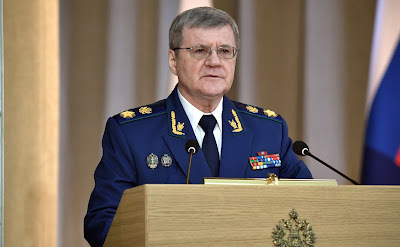 0 Comment to "Meeting of the Prosecutor General Office’s Board."